How I learned to stop worrying and love the can. At the same time LA’s newest craft brewery launched their cans of the west coast style IPA raved about in my previous post, they also released their equally-fantastic weissbier, Golden Road Hefeweizen. While I don’t typically run for wheat beers, I was especially excited about this fresh and local take on a classic style. I’ll never pretend to pickup every flavor note in a beer, but there is an obvious banana aroma that greets the nose while some spice balances nicely with the wheat. In a word… fresh. Like its companion, the “honest pint” can features more photography from LA local photographer Nate Miller. If you’re curious, Golden Road will be in the South Bay this weekend for Whole Foods El Segundo’s craft beer festival. Head over, meet the crew, drink some beer, and take home a 6-pack of LA’s newest cans while you’re at it. 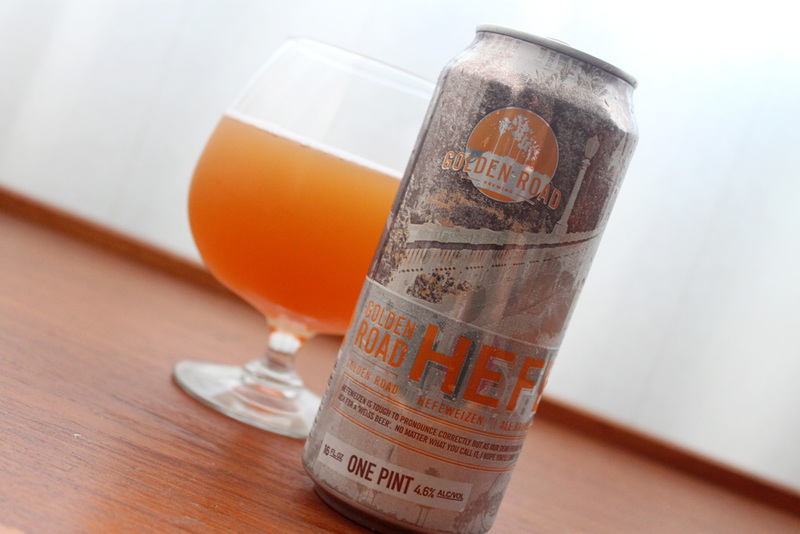 Golden Road Hefeweizen | Golden Road Brewing (Los Angeles, California) | Weissbier | 4.6% ABV | $11.99/6-pack. This entry was posted in Beer Review. Bookmark the permalink.